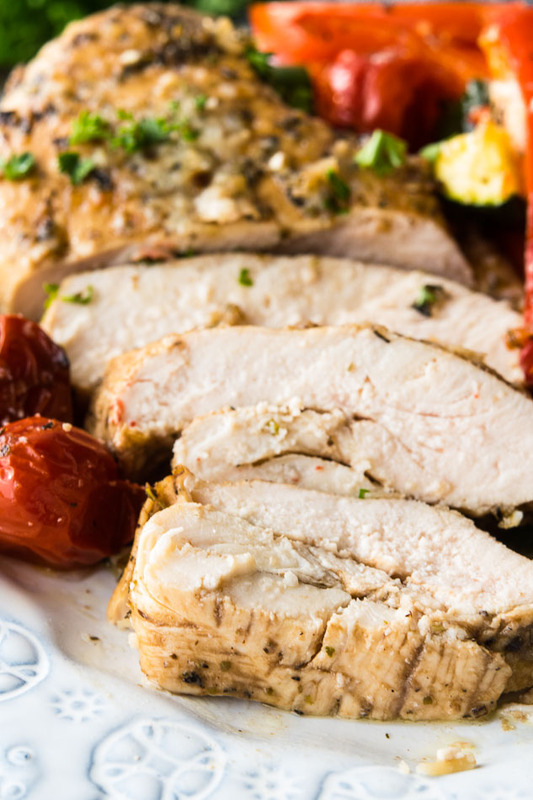 This recipe for Italian Chicken is so juicy and flavorful, you’re sure to use it as a go-to weeknight recipe! Moist, and juicy with a taste of Italy. My recipe for classic Italian Chicken is not only delicious, but it’s easy too! This is hands down one of the best authentic Italian chicken recipes, other than Chicken Milanese, of course. It caters to experienced home chefs, as well as home cooks who made a New Year’s resolution to cook more often. New year, new you! 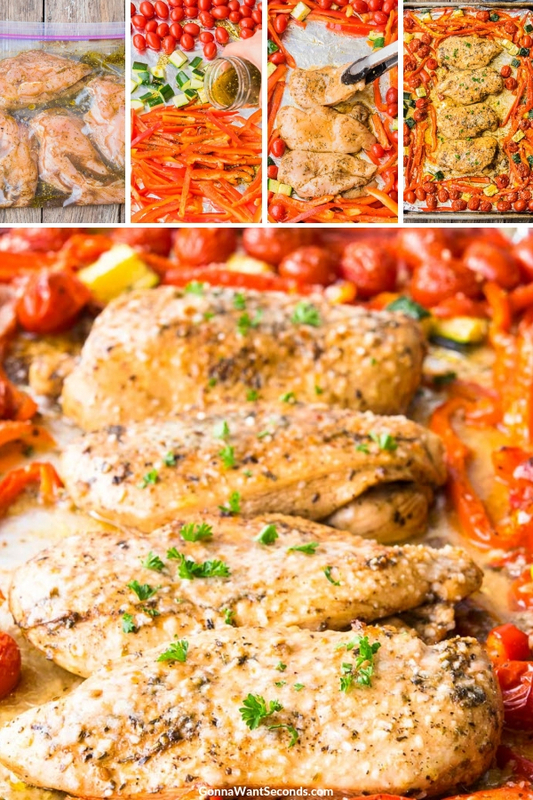 Just as comforting as my family favorite Chicken Vesuvio, you’ll find my Italian Chicken to be filling and flavorful…a dish that your family is certain to drool over. Plus, you can marinate the chicken breast while you’re at work, and it’s ready to bake when you get home! Like you, we are lovers of convenience. Let’s get to it! How Do You Make Italian Chicken? Start with the Italian Chicken marinade, which in this case is balsamic vinaigrette. So stinkin’ easy, right? Place your chicken breast in a 1-gallon resealable bag. Let it marinate in the refrigerator for 1-8 hours. The longer, the tastier! When you’re done marinating, place your chopped veggies around the edges of the pan, and cover them in balsamic. Put the chicken in the center. Season with salt and pepper, sprinkle parmesan over your masterpiece, bake on a sheet pan until cooked through/ golden brown…and you’re done! Is This Similar To Italian Dressing Chicken? Yes, it absolutely is. The difference is, with Italian Dressing Chicken, a good commercial salad dressing is used instead of our easy homemade version. 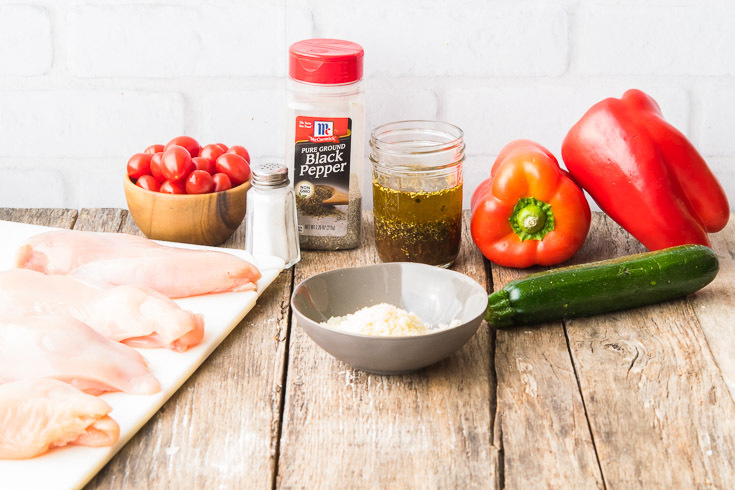 What Ingredients Do You Need To Make Baked Italian Chicken? 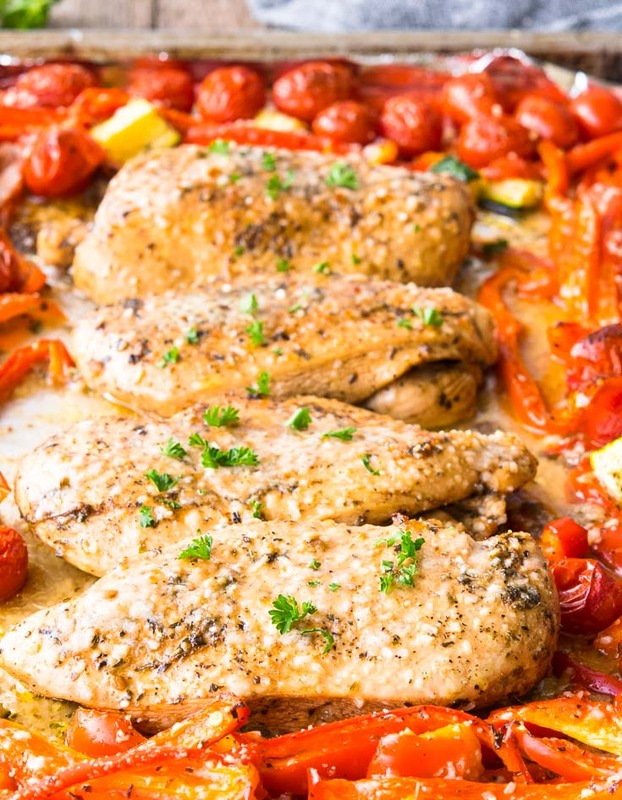 This is truly one of the best Italian chicken dishes with tomatoes. They bake up wonderfully and add savory juices and flavor to the meal. Unless you hate tomatoes or have an allergy to them, be sure to include them! 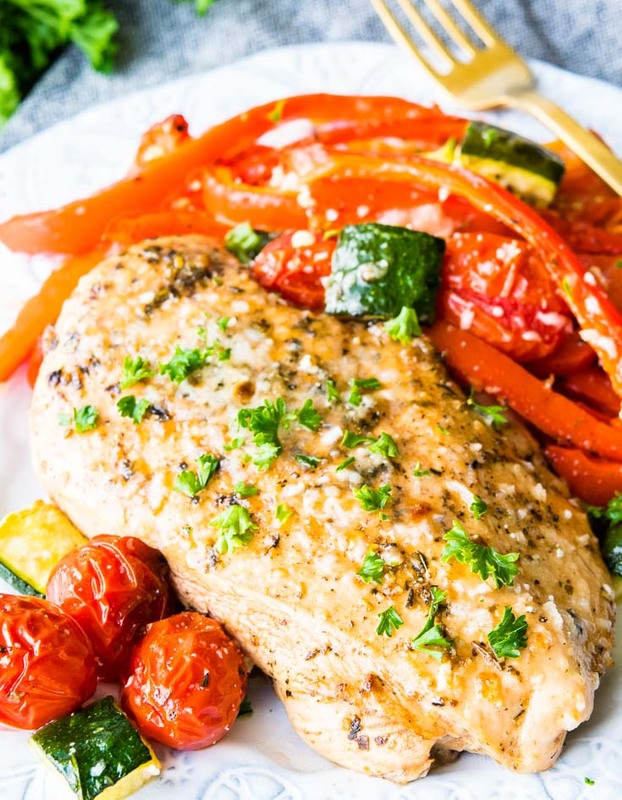 Other than (grape) tomatoes, you’ll need chicken breast, balsamic vinaigrette, salt and pepper, red bell peppers, zucchini, and Parmesan cheese. If you’re looking for one of those classic Italian chicken dishes with pasta, as well as a serious flavor twist, you’ll love this Chicken Alfredo! What Italian Chicken Marinade Is Used For This? 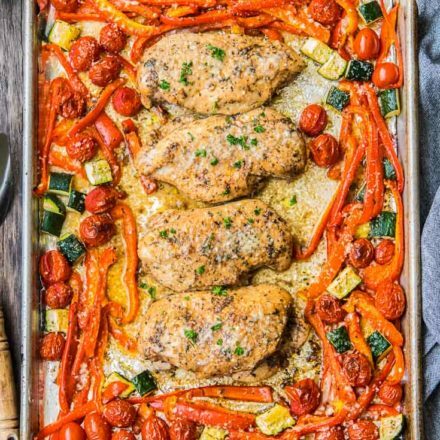 Can You Make Baked Italian Chicken Ahead of Time? Yes dear readers, you can! As I mentioned Italian chicken is ideal for weekly meal prep. Marinate your chicken and chop your veggies in advance. Then, store it all in the fridge (separately, please) for up to 24 hours. When you’re ready to bake it, toss it onto a baking sheet and you’ve got dinner in 30 minutes. It takes my family longer than that to agree on a Netflix show. Can This Chicken Be Used In Italian Chicken Soup? Absolutely. This Chicken gives Italian Chicken Soup a little extra delicious flavor! 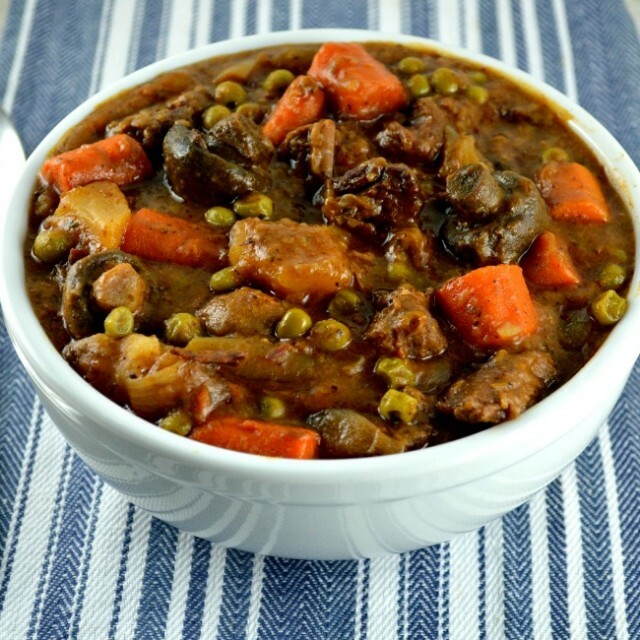 Just cut it up into chunks and its ready to be the star of your soup. How Do You Freeze Italian Chicken Dishes? If you have leftovers, which you probably won’t (but we like to prepare for every situation…) then you should freeze them. Choose a quality freezer-safe container, also known as a Ziploc bag, and throw the chicken and veggies in together. Place it flat in the freezer and you’re good to go. If you’d like to make up a big batch and freeze it to cook at a later time, you can do that too! Marinate the chicken for 1-8 hours, toss the veggies into the bag with it, and then freeze it flat. Place it in the refrigerator to thaw. What Do You Serve with Italian Chicken Recipes? 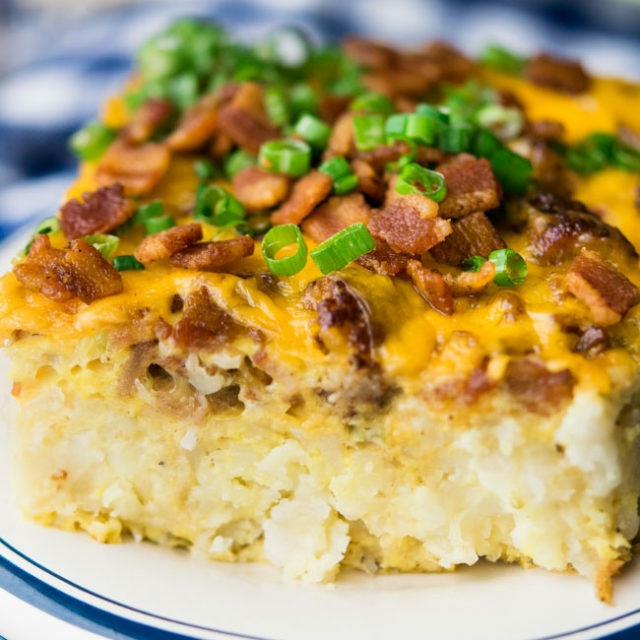 This dish is versatile. The chicken and veggies go wonderfully with a crunchy spinach salad (as does this tasty Chicken Florentine), or even a side of simple brown rice. I love to turn this into a beautiful Italian chicken pasta and serve it over spaghetti or linguine. 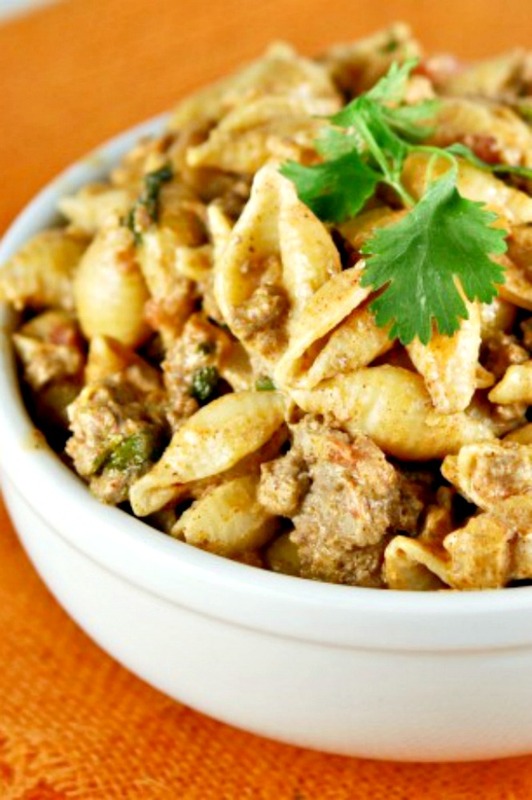 There is nothing better than an Italian chicken dish over pasta, which my Chicken Lombardy can attest to. Delish! Italian Chicken Cacciatore is somewhere along the lines of an Italian chicken casserole and makes a delicious skillet or slow cooker dish. A blend of chicken breast and veggies simmering in a homemade sauce, this meal is wonderful over angel hair pasta. The internet is full of Italian chicken recipes, and I’ve tried quite a few of them, including the Italian chicken recipes Jamie Oliver recommends. I try them out then tweak them to them my own. 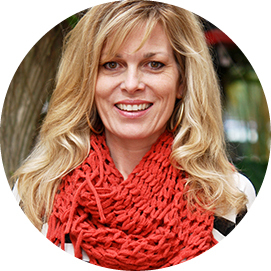 I’ve done this not only because I want my readers to have what’s best, but also because I love food. Both the cooking and eating. 2. Place chicken in a resealable plastic bag. 3. Pour half of the Balsamic vinaigrette. 4. Seal the bag and refrigerate for an hour. 5. Preheat oven to 400 degrees. Line a rimmed baking sheet with aluminum foil and place the vegetables. 6. Toss vegetables with 1/4 cup Balsamic vinaigrette until evenly coated. 7. Arrange veggies around the edges of the baking dish. Sprinkle it with salt and pepper. Remove chicken from the ziplock and discard marinade. Place the chicken at the center of the baking dish. Season it with salt and pepper. 8. Bake in the preheated oven. Flip halfway through, about 16-18 minutes. 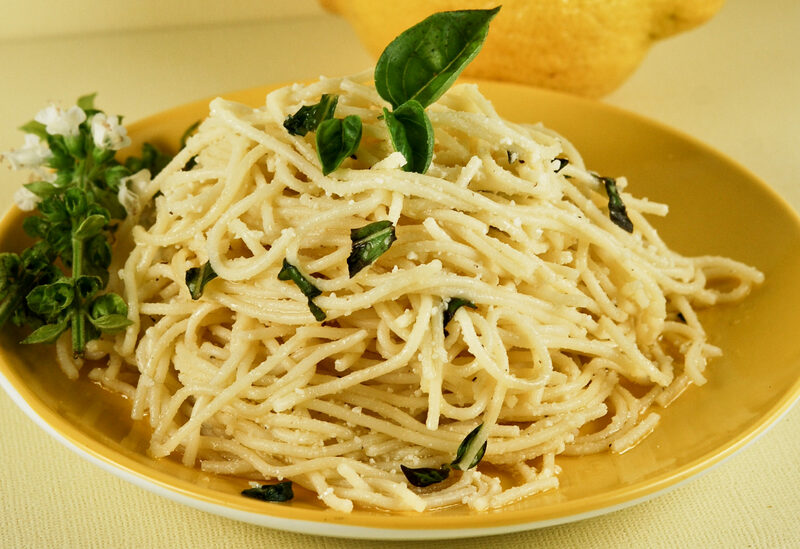 Sprinkle parmesan cheese and broil until chicken is golden brown or until cooked. Marinade: While the chicken is marinating, I get all my veggies ready. Good news is if you’re in a hurry, a 1 hour marinating time is all that’s required! 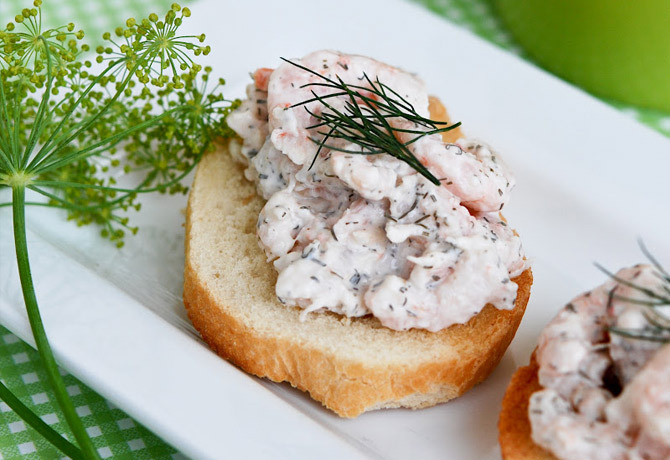 Again, this can be marinated up to 8 hours depending on the depth of flavor that you want. In any event, his chicken dish will serve up juicy and flavorful! Tomatoes: Grape tomatoes are ideal here because they have a lovely balanced flavor and they tend to have fewer seeds. Cooking Time: Generally, when I make a sheet pan chicken recipe I cook it for 18 minutes. It comes out perfectly cooked, moist and juicy. In this particular recipe, the chicken is broiled a few minutes at the end to finish the cooking so I only bake it for 16 minutes. 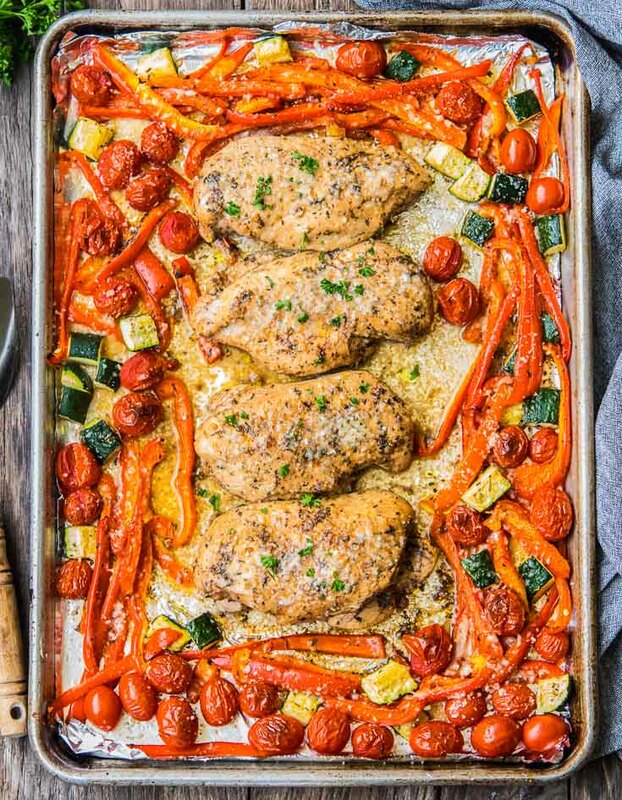 Some recipes call for Sheet Pan Chicken recipes to be baked for 20 minutes at 400 degrees. In my experience that is way too long and will dry out the chicken. To make sure you cook the chicken to perfection in your oven, a digital thermometer is your best friend! I use THIS one. It’s very highly rated by Amazon and it’s been great for me! It also comes in lots of fun colors. 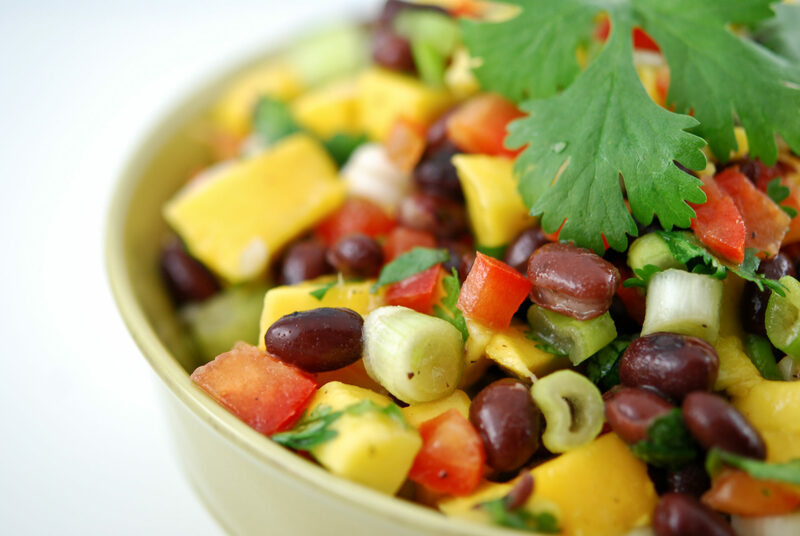 Meal Prep: This is a great dish for meal prepping. Double (or even triple) the batch, bake and divide into your prep containers. Lunch/ dinner for the week! Generously season the chicken with salt and pepper on both sides. Place the chicken in a 1-gallon resealable plastic bag. Pour in 1/2 cup Balsamic vinaigrette and seal bag, removing as much air as possible. Lay on a rimmed baking sheet to catch any leaks and refrigerate for 1 hour. Place the vegetables on a rimmed baking sheet. Toss with 1/4 cup Balsamic vinaigrette until evenly coated. Arrange the vegetables in a single layer, around the edges of the prepared baking dish. Sprinkle vegetables with salt and pepper. 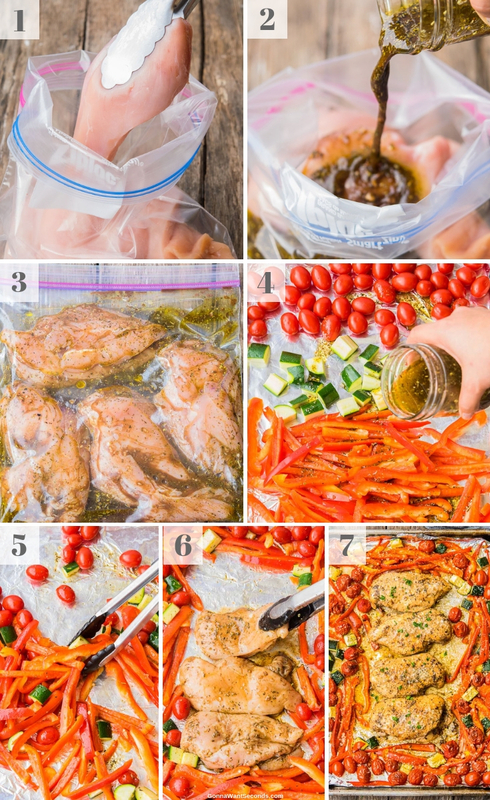 Remove chicken from ziplock and discard marinade. Nestle chicken pieces into the center of vegetables. Season both sides of chicken generously with salt and pepper. Sprinkle parmesan cheese over chicken and vegetables and broil until chicken is golden, 2-5 minutes (depending on how close the chicken is to the heating element) and a digital thermometer registers 165 degrees when inserted into the thickest part of the chicken breast.